Drift IT Services in-class audio visual solutions are custom installed to the highest standard by our experienced and trained technicians to help schools to achieve learning outcomes by bringing the learning environment to life. Whatever your AV needs, we’ve got you covered. We supply Promethean, Smart, Promultis, Sahara and many other brands of interactive touch panels and interactive whiteboards. With a free onsite consultation, we can advise you on the best solution and identify any environmental complications before returning to install the equipment at a time that suits you and causes minimum disruption to teaching and learning. With flexible options such as leasing and service level agreements, we can help your whole school benefit from the latest technologies whilst adhering to your operational and budgetary constraints. Our on-site visits include general AV Support, enabling the school to get the most out of their audio visual equipment. 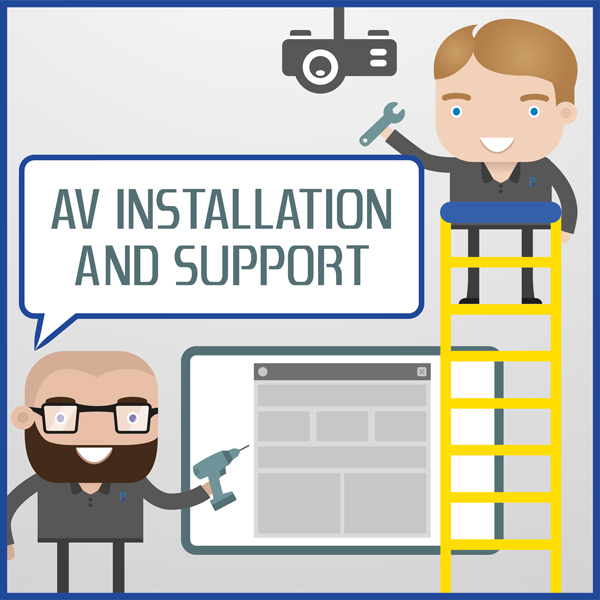 General AV Support tasks include; clearing dust from the projector and filter, wiping the Interactive Whiteboards and Touch Panels clean, re-aligning the projectors and re-calibrating the Interactive Whiteboards.